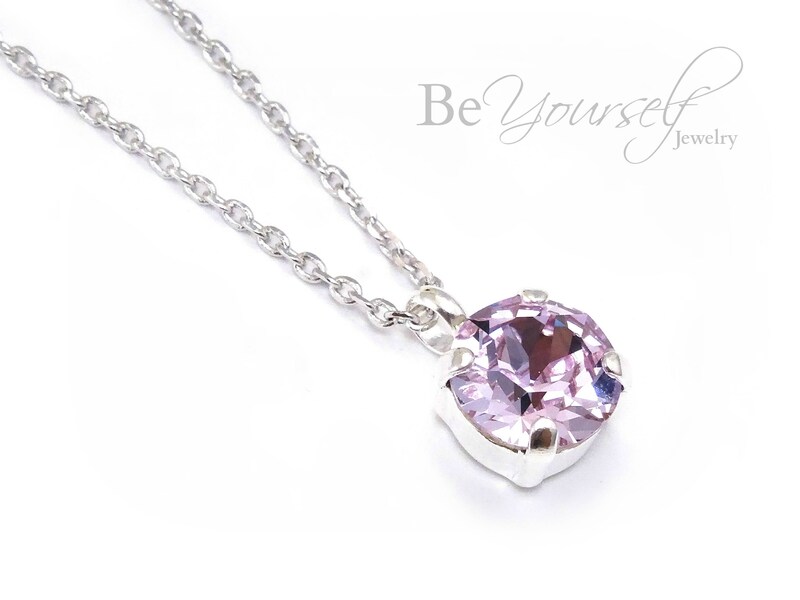 Super elegant and feminine soft purple Swarovski Crystal solitaire necklace in Violet with silver accents. These crystal fancy stones are designed with precise machine-cut facet patterns that produce the signature Swarovski sparkle. Perfect for almost every occasion, this jewelry makes a really nice gift for friends and family at a very affordable price!